Lumini club and discounts are in love! Lumini club and discounts are in love! February for all members of the Lumini Club brings special discounts and benefits. 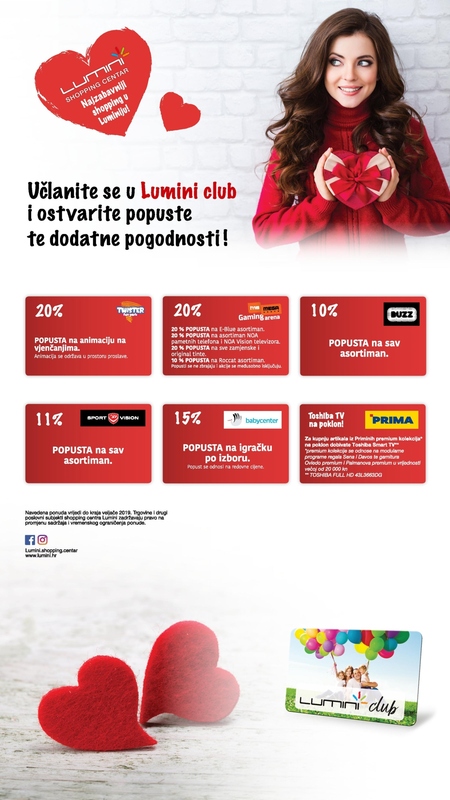 If you are not yet, join the Lumini club and get discounts on sports equipment, toys, electronics, and the convenience of buying furniture!